Allergen Advice: Contains Mustard, Soy Bean. 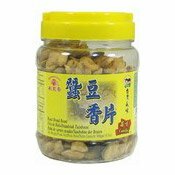 Ingredients: Broad Bean (75%), Soy Bean Oil, Sugar, Salt, Garlic Powder (1%), MSG (E621). 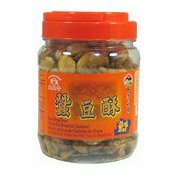 Simply enter your details below and we will send you an e-mail when “Roasted Broad Bean (Garlic) (萬里香蒜味烤蠶荳)” is back in stock!